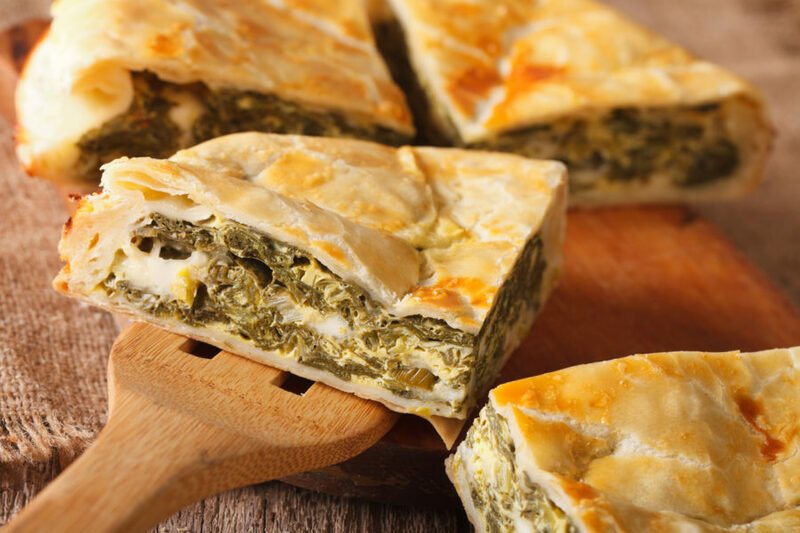 Greek and Turkish cooking has a special way of celebrating the simple, fresh flavors of vegetables and meats, adding little spice if any. Jewish, Greek and Turkish food all borrowed from each other, a true melting pot of culinary traditions. Turkish Jewish cooking is influenced not only by Turkish cuisine, but also by the cuisine of the Spanish Jews who settled in Turkey after the Spanish Inquisition. Vegetables like eggplant and zucchini were added into the Sephardic mix of pilafs, poultry and fish. In Turkey, stuffed vegetables and kebabs and syrupy sweets became a part of the Sephardic kitchen. Just across the sea in Greece, a style of vegetable-centered Jewish cooking emerged, similar in most ways to Greek cooking. Leafy greens, onions, eggplant, and dozens of fresh herbs all played a huge role in Greek Jewish cuisine. Find out more about the history and evolution of Jewish food in Greece and Turkey, here.